There is a tree – just one – that sits atop a small dune full Ténéré. They say it's an acacia: the twisted trunk, fatigued by the years and by a climate impossible, the Deadwood, twisted, prosthesis like skeleton hands towards the sky. It seems almost begging an unlikely rain that would give some relief to his unquenchable thirst. Yet the plant survives, in spite of all logic, on the edge of the track that, across the desert, colleague Iferouane at Chirfa, in northeastern Niger. The caravan people and nomads who pass through here they call it "last tree", but no one can tell me what the place has escaped, nor what miraculous water vein present underground manages to keep it alive. There, right at his feet, Today he lives the free spirit of a true visionary. 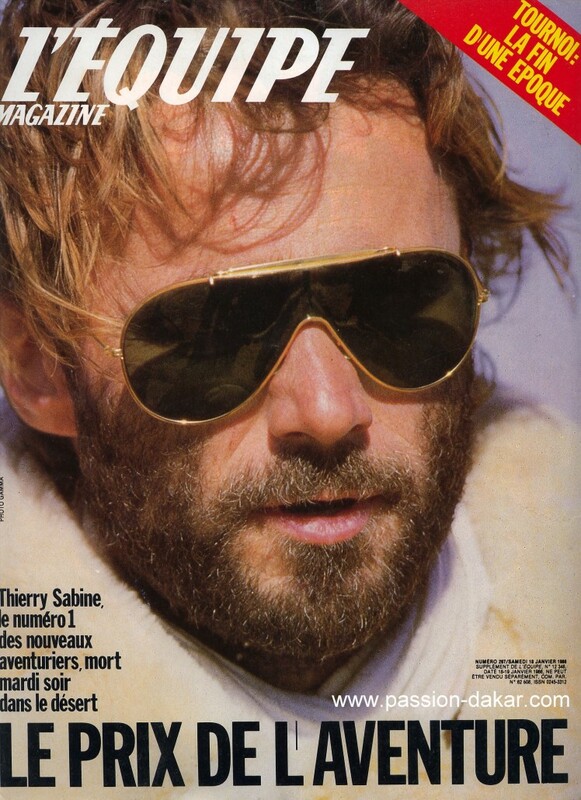 A stele and his ashes, scattered all around after her tragic death, occurred in 1986 in the crash of the helicopter that was traveling, are all that is left of Thierry Sabine. 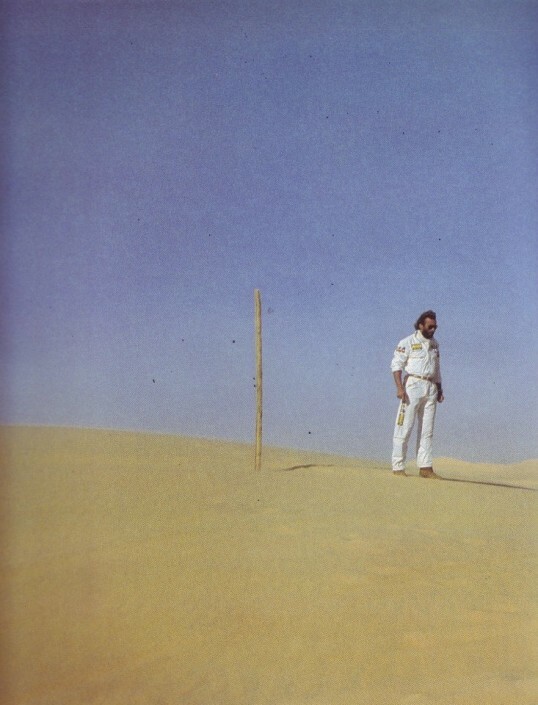 «The desert left me live. The desert reminds me» He used to say. And so it was. Nine years before, not far from here, the young Thierry, Nice, rich, blond as a Norman, race car driver and motorcycle enthusiast's adventures and extreme competitions, lose the road during a stage of the rally Abidjan-nice. Riding his Yamaha XT 500 enduro remains isolated from the rest of the competitors and finds himself in the middle of nowhere without a compass, no water and no food. Only companies with a useless map and a gri-gri, an amulet given to him by a friend tuareg that separates ever. The boy from Neuilly-sur-Seine don't lose heart: rubs fetish almost to consume it, So what he has to lose? Chance or fate the gri-gri does his duty: After three days and three nights the Frenchman is localized and rescue. Against all odds Thierry Sabine is safe. But even irreparably changed. Those lonely hours, passed at the mercy of a sea of sand to rub a leather aumuleto, conquered much to make him forget the fear of death. The silence of the desert, interrupted only by the wind that shapes the dunes in ephemeral forms like those of clouds, caused him to glimpse new horizons, new targets. No mirages or morgane, but real visions that would soon become reality. 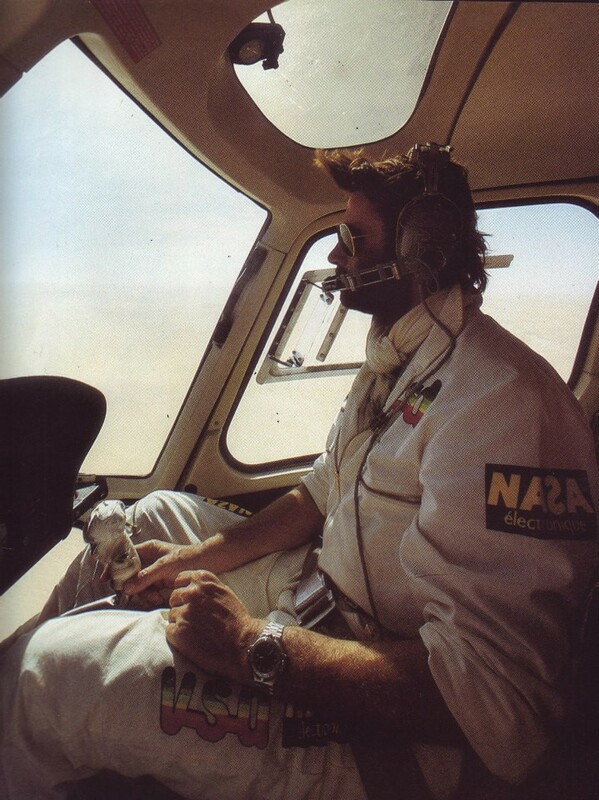 Algerian air force already on the plane that brings him home Thierry Sabine starts thinking about a rally for four and two wheels as you've never seen before. A sensational competition, from the path that is nothing short of insane, with departure and arrival in Paris, After about twenty days, sunny white beaches of Dakar. Two continents, an ocean to cross and in the middle of nowhere – or all – of the Sahara. A raid, more than one race, where the strength and skill of the pilot, but also the performance and robustness of the medium, will be put to the test under extreme environmental problems. But also a unique opportunity for competitors to challenge your limits, in a mix of charm and adventure, exotic and modernity, large landscapes and impossible conditions. "A challenge to all who take part in» is his credo "but even a dream for anyone who is watching». Sabine's vision is realized in a few months. Back in France starts to get busy to find the funding necessary for the realization of your project. Knock on left and right, tireless and persistent, determined to realize his goal. Until, miraculously, the money crop up mainly due to Oasis, a company that produces fruit juices. After less than a year from its design the Paris-Dakar race may already be a reality. The 26 December 1978, Boxing Day, two vehicles of all kinds congregate roaring on the Esplanade of the Trocadero, in the shadow of the Eiffel Tower. On board there are professionals and individuals, experienced pilots and amateurs. Merges the desire for adventure, But even a good dose of unconsciousness. Waiting for them, In fact, ten thousand kilometres across France, Algeria, Niger, Mali, Upper Volta (Today Burkina Faso) and Senegal. Few paved roads, many dirt roads and Sandy trails many kilometres – then – who cross the desert. Of those that today there are no tomorrow, cancelled – or move – by the wind, and that's why they are not on the maps. Little or no mechanical assistance, food poor, fierce climate even in winter. The compass and the starry sky as only guide. Adrenaline and gasoline as propellants for adventure. The desire to arrive at all costs as absolute objective. Only seventy-four, though, reach – the 14 following January – the Pink Lake Beach, a few kilometers north of Dakar. The first is a 21-year-old of Orléans, Cyril Neveu that in years to come would inextricably linked his name to the competition, winning several editions. Tired, Sandy dirt and sweat, cut the finish line triumphant riding – coincidentally – to a Yamaha XT500. In your eyes there is the unmistakable light of someone who knows that she has completed an undertaking. Because of company, in fact, This was. Party between general skepticism, the rally begins magically attract the interest of the media already after the third-fourth day competition. Before the papers, timidly, then radio and TV start talking with increasingly concerned by this incredible raid, while tens of thousands of Africans are poured by the side of the road (where there are) to attend in person at the passage of the convoy of fools. Everywhere, from Algiers to Agadez, from Niamey to Bamako, in the oases and in the thousands of remote villages bordering the desert, is a triumph of people who had never seen a show like. The enthusiasm of the crowd mingles with that of competitors. All this despite the organisation of Sabine, himself in the race, Let yourself deeply to be desired: at one point seven bikers – and among them the same wrong way and end up in front of the entrance – Neveu of uranium mining. But they are details that increase even more the reputation of wild race of the competition. 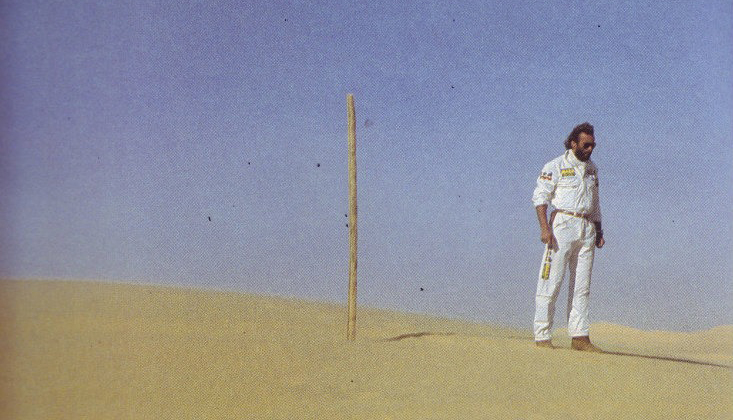 Even before it ends, the Paris-Dakar rally has already entered into legend. Later editions are attracting a growing number of men and women eager to try their hand at a race capable of putting a strain on human and mechanical resistance. Year after year they occur at truck, Sidecar, dune buggy, 4× 4, Quad and means of various origins and nature. At the same time also increases the interest of the people and the media who are starting to cover with greater visibility the incredible raid between two continents. Of course, funding and sponsors are growing in proportion, but Thierry Sabine manages to handle them with knowledge and skills. 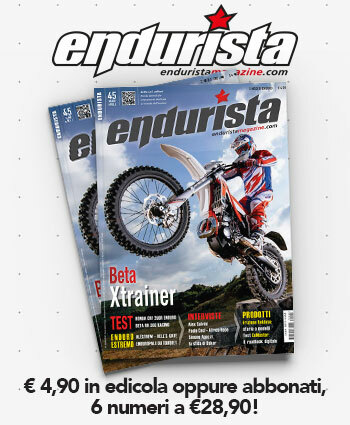 «Dakar» supports ' marketing needs, public relations. You have to intervene decisively in the mass media that is. And it is thanks to the show-business that continues to grow». The young man's right, but still not enough. Entry fees exorbitant, to say the least, skyrocketing insurance premiums, essential services paid a high price – but without batting an eyelid – by competitors who already know they have to sacrifice – or not arrive in Dakar – their off-road. Unthinkable, In fact, reuse it after a race like that. 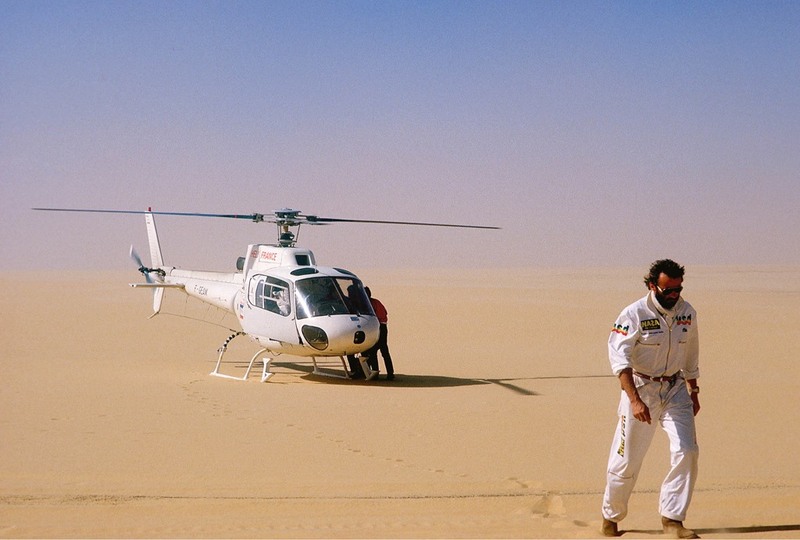 The desire for adventure through the desert infects not only experts established and famous rally drivers and riders, as Jacky Ickx, Clay Regazzoni, Patrick Tambay, Henri Pescarolo and Jacques Laffitte. In the years to come to hitting the slopes of the Sahara we find, with mixed fortunes, even famous people like Mark Thatcher, son of former British Prime Minister (that, Curiously, He will be lost for three days in the desert), the rock stars of the time Johnny Halliday, actors Claude Brasseur and Renato Pozzetto, up to ski champions Jean-Claude Killy and Luc Alphand. The latter, even, will win a race Edition. Different people from different worlds that feed, in a vicious cycle, the myth of the rally, so much so that after a few editions becomes more popular on the Tour and at Roland Garros. Sabine knows this and takes advantage, not minding the criticisms about excessive organizational machine and greediness extreme danger of the race. 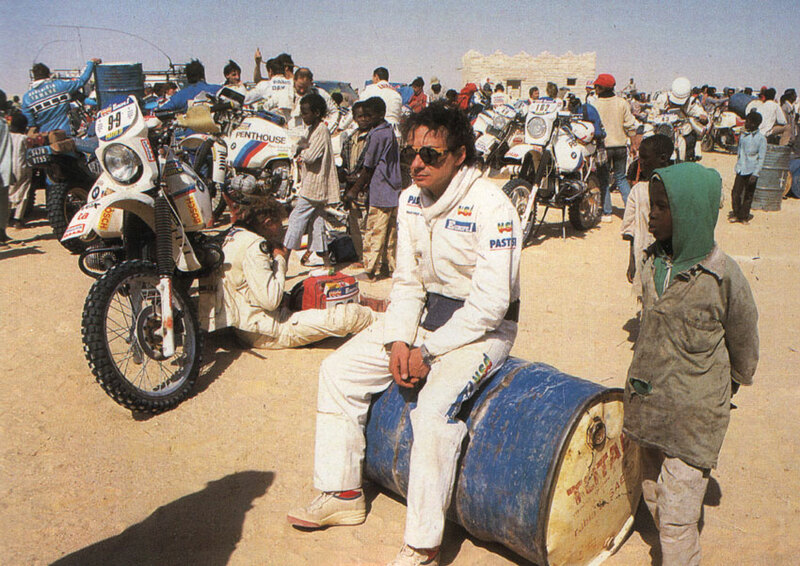 Yes, because in Paris-Dakar you die, as perhaps only in Tourist Trophy. Each year – or almost – someone gets your skin. The first is Patrice Dodin, just in the first edition, thrown from his bike while trying to reconnect the helmet that had loosened. In the years to come will be nearly sixty pilots who lost their lives during the competition. Most of them in clashes between participating transport, but there are also those who took a bullet in the head fired by a nervous military, who is lost forever in the dunes for a lack of communication with the organizers, who underwent pulmonary edema in the desert and who was hit by a vehicle pirate. And then man missing, cars and motorbikes destroyed, unexploded mines, sudden clefts, drivers injured, amputees, paralyzed, even seized from gangs of Marauders. 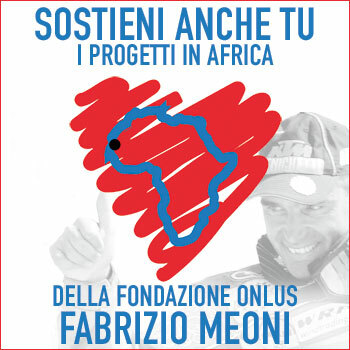 Every year at least 20% participants leave the race due to accidents of various kinds. Yet, Paradoxically, This is what attracts people and Sabine even knows that "If there is no risk» responds to the criticism" doesn't even make sense to set up the race». Not talking nonsense, the boy from Neuilly-sur-Seine now made man, and this is witnessed in a more direct and dramatic can. The 14 January 1986, As always, chasing the race aboard his chopper white. With him there are also her friend singer Daniel Balavoine, the journalist Nathalie Odent, the pilot François Xavier-Banioux, cousin of Prince Albert of Monaco, and Jean-Paul Le Fur, an experienced radio. It's seven o'clock in the evening when, perhaps due to the excessive weight, or maybe a sudden sandstorm – we'll never know –, the aircraft crashed on land near the community of Gourma-Rharous, killing instantly all occupants. The circus has lost his master. The Paris-Dakar, no more driving, stops for the next stop, but just because the only one who knows the track is the same Sabine who hasn't had time to communicate it to competitors. Then resumes as usual. In obedience to his will, After some time from death his ashes are scattered under the acacia from twisted trunk and twisted branches growing in Nigerien Ténéré. «The desert left me live. The desert reminds me». Here's, the Club is closed and the myth of Thierry Sabine remains delivered forever in history. His Dakar, Of course, continues and does so with growing success. The car that has sparked eight years before you start that almost goes it alone, Although, year after year, the path takes to also vary considerably. The cause, almost always, resides in the difficult political situations of certain countries that are not safe to cross. Military, Marauders, guerrillas are too great a risk to insist in original Director, the one imagined by Sabine. But there are also business reasons to oblige the Organization to study the unedited itineraries. Hence the departures from Granada, Lisbon or Barcelona, arrivals in Cape Town, Cairo and Sharm el-Sheikh, the circuit from Dakar and return. But there's more. Some argue that Africans don't like so much the passing procession roared every year in front of their doorstep. Maybe things are just so, or maybe not. The fact is that the years go by and the Paris-Dakar race inevitably lose the spirit of the origins. Yes, certain, the danger, the charm, the adventure, the great scenarios ... all this remains more or less intact, but on the streets and on the slopes of a land increasingly poor and ravaged by hunger and the thousand wars now passes a circus made of large parables, by GPS, of journalists in tow, for sponsors who obey a business model intrusive and boho. Years pass and this rally organized by Europeans to someone brings to mind the sad memories, never dormant, of the colonies, the wars for independence and legionnaire's képi bianchi. So, on Mauritania, on Christmas Eve 2008, four French tourists are brutally murdered by men of North African phalanx of Al Qaeda. A warning directed at the rally, There is no doubt: After a few days, In fact, on this same land would have passed the caravan. The Paris-Dakar rally is cancelled in haste and, from the year after, moved to South America, more precisely between Argentina, Chile and Peru. Safer lands. And so by 2009 no more African deserts, sunsets, frosty nights, stretches of dunes, old villages, herds of camels and nomadic tribes. The desire for adventure extreme, always poised between bravery and recklessness, now passes through equally exhausting, between stretches endless, pampas exterminated and mountains rising up to the sky. Also here are the sand, the roughness, the dangers and contingencies. Riders compete to enroll. People continue to follow the raid with intact enthusiasm. Sponsors and media do not miss their support. And yet ... and yet it is hard to not feel the weight of an irretrievable loss. Certain, the word Dakar remained ("Dakar Rally" is now the official name of the race), but I wonder what he would say Thierry Sabine of this change so radical. Perhaps would accept what in the name of the business and security. Or maybe not. Maybe you wouldn't have the courage to follow overseas that noisy Caravan that had started after three days and three nights to rub a gri-gri of leather. Maybe he would let his child die. Maybe. What is sure is that he, Africa, He no longer wanted to abandon it. Even in death. The 14 January 1986, As always, chasing the race aboard his chopper white. Perhaps due to the excessive weight or poor visibility due to a sandstorm, We'll never know –, the aircraft crashed to the ground. 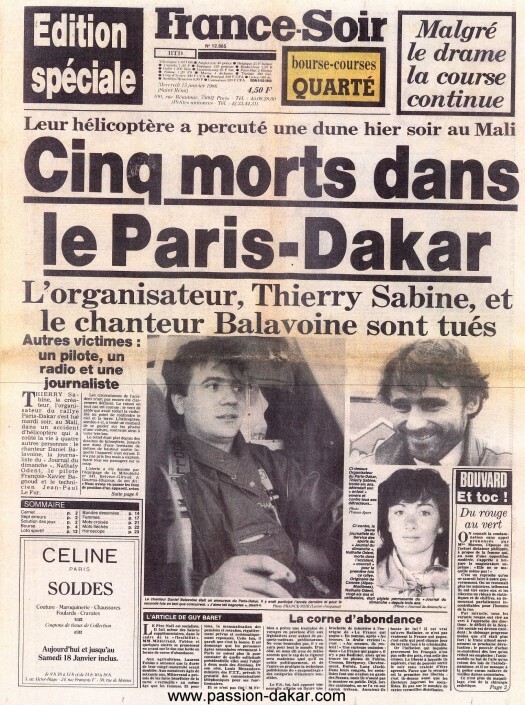 With Thierry Sabine, die the French singer Daniel Balavoine, the journalist Nathaly Odent, the helicopter pilot, François Xavier-Bagnoud and radio technician Jean-Paul Le Fur. It is a shock for the caravan, but the race goes on. He repeated the creator of Dakar. And challenge the desert is also play with life, jumping on the crest of the dunes or dancing on the sand to over 200 kilometers per hour. The accident remains the one with the worst budget in the history of the Dakar. Sabine's ashes will be scattered beneath the famous "last tree", near where I wandered the street ten years before. In that Edition was killed the Japanese motorcycle racer Yasuo Kaneko, hit by a motorist. Will be the most tragic Dakar history with six deaths. Everything was born from the imagination of a French visionary. 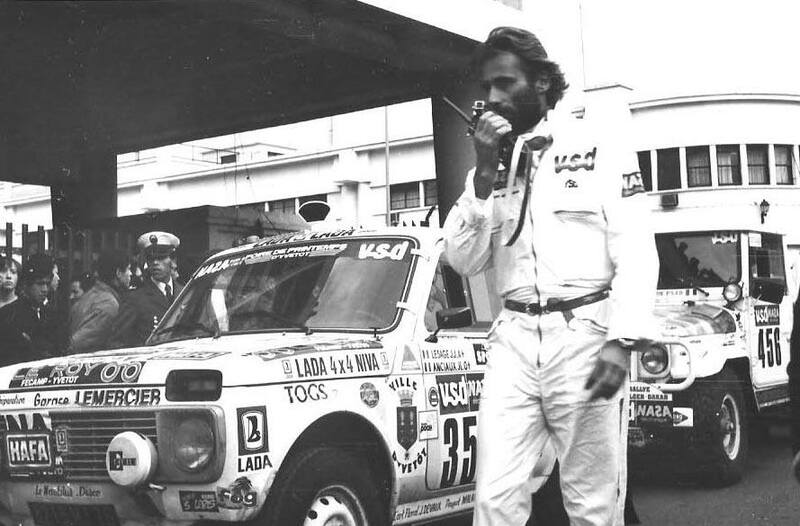 After organizing several African competitions, the 26 December 1978 started from the capital to the first edition of what later became a myth: the famous Paris – Dakar. “Upon arrival on the beach of the Lake Rose will be another man who will throw his helmet” supported Sabine who subsequently founded the T.S. or. 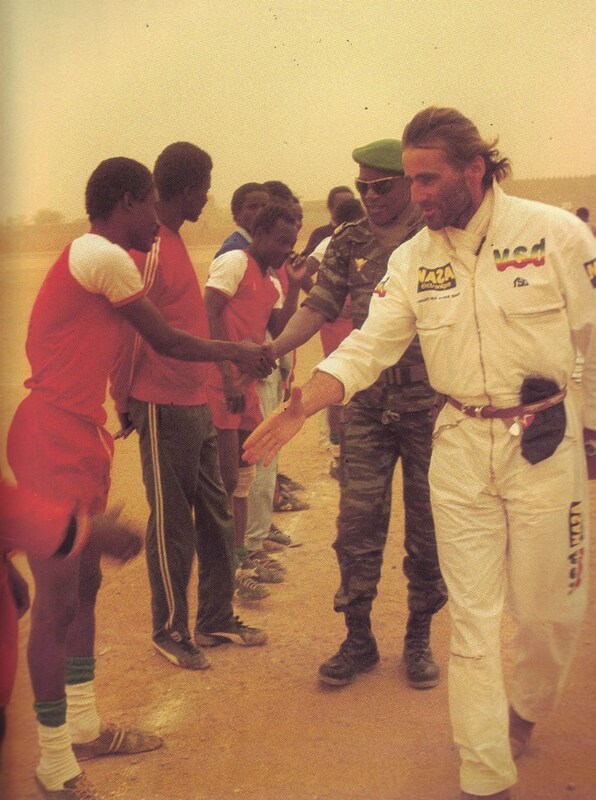 (Thierry Sabine Organization), until his death during the edition of 1986 the African race, When rushed with his HELO.